From the album Spirit Of Place (2014). 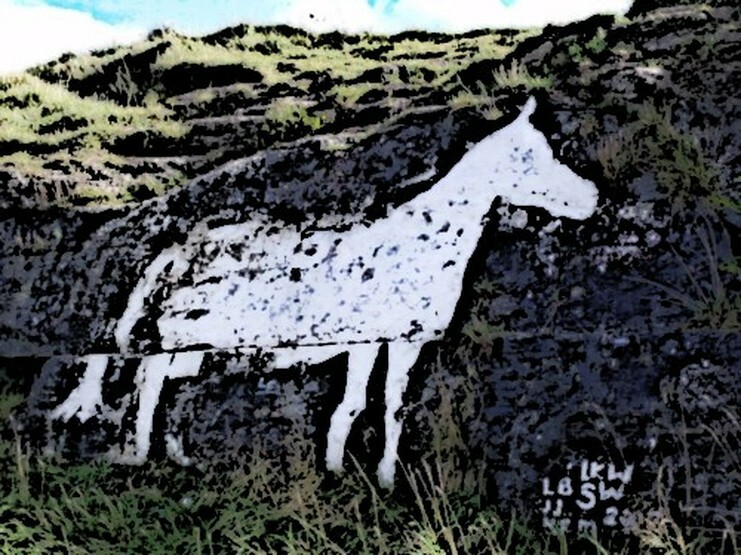 Music generated from photographs of sites in North East England (ancient and modern), using the free i2sm programme (google it !) 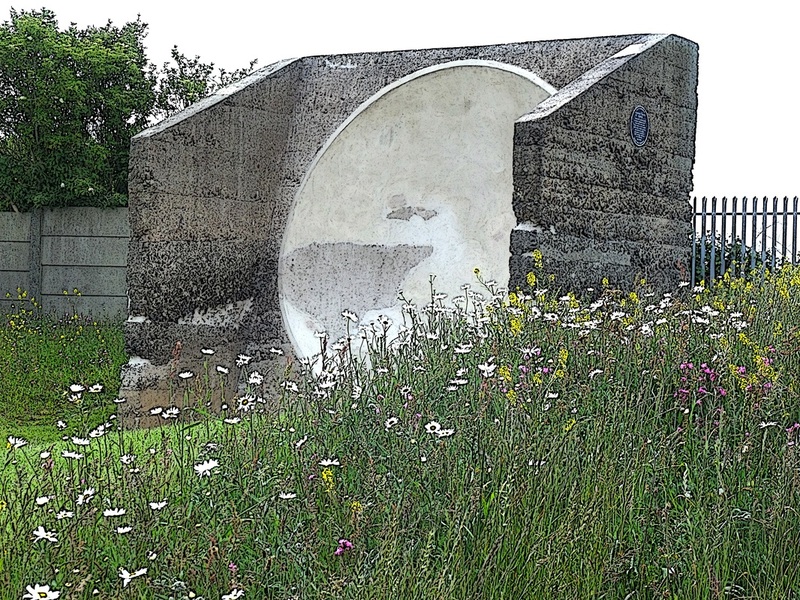 and mixed with ambient sound recorded at the sites, to create a representation of the spirit of the place. 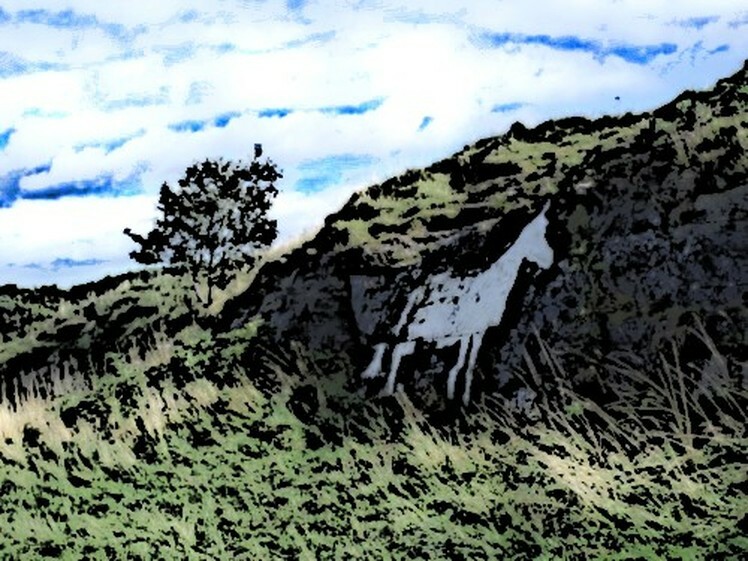 The White Horse is painted on a rock face in the Marsden Old Quarry nature reserve, off Lizard Lane, Marsden, South Shields. It appears to date back to at least 1887 (being occasionally repainted) , though its origins are confused to say the least, and it has generated a number of stories of differing likelyhood. 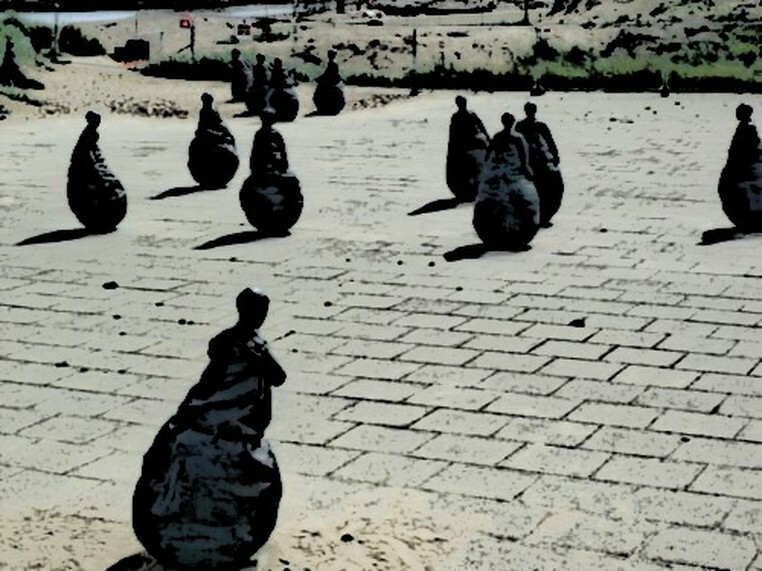 Conversation Piece is a sculpture by Spanish artist Juan Munoz, located at Littlehaven, South Shields. The 22 figures are around 1.5 meters tall and weigh around a quarter of a ton. 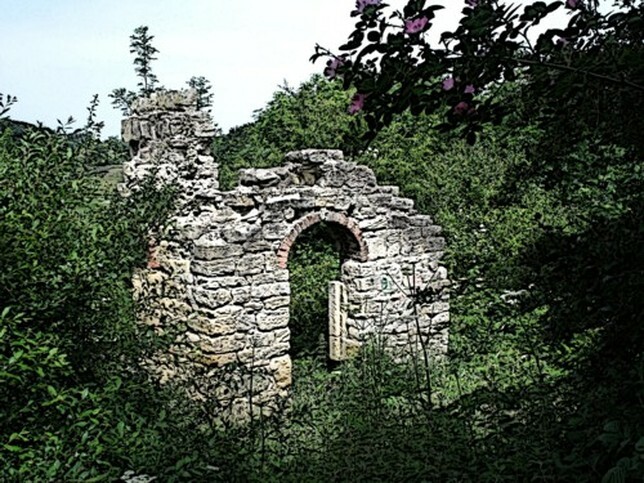 Starlight Castle is a folly – or rather, the ruins of a folly, situated on the slopes of the north side of Holywell Dene, near Seaton Sluice in Northumberland and built in 1750. Another from the Spirit Of Place project. Dalden Tower is a ruined fortified medieval manor house on the outskirts of Seaham, County Durham. The manor of Dalden was probably in existence in the 12th century, in possession of the Escolland family. The first documentary evidence dates from c.1320 when Sir Jordan de Dalden sought permission to build a private chapel. Shortly after this the manor passed by marriage to the Bowes family. 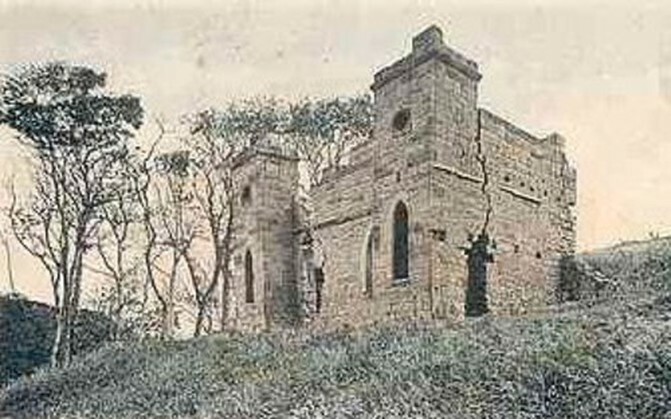 It was the Bowes family who were responsible for the building of the tower. In 1615 it was passed again by marriage to the Collingwoods and subsequently was purchased by the Milbank family. Lord Byron married into the Milbank family of Seaham, though they weren’t living here then…did he ever visit the tower ? According to the Durham historian William Hutchinson, writing at the end of the 18th century, it had long been derelict. Today, the ruins always remind be of of standing stones, the three remaining sections of wall like a trio of monoliths. Another from the ongoing SPIRIT OF PLACE project – the Apollo Pavillion at Peterlee, County Durham. …see that post for more information about it.